go to site Emma absolutely adored the March of Dimes “Boston Bunny” from our favorite Nurse Practitioner Barb. We will miss our friends up on the 9th floor. http://www.mrffc.org/wiki/ed/viagra/ We have just a quick update this morning. Everything moved pretty quick yesterday, so we didn’t get around to writing this until this morning. Emma has had a good few days. Since getting her back on the steroids Monday she has been doing good. We are seeing more of her spunky personality each day and she has been eating and drinking well. 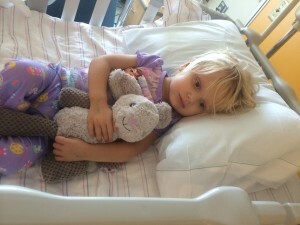 The good news is that she is ready to be discharged from the hospital today. source url After much discussion with the neurosurgeons, neurologist, physical therapist and occupational therapist here it has been recommended that Emma go to an inpatient rehabilitation hospital to work on regaining the motor skills that she has lost over the last month. So Emma will be going back to Madonna Rehabilitation Hospital in Lincoln and will be admitted tomorrow morning. http://www.matinnovations.com/index_files/zenegra.html Thanks to Team Brogan for stopping by. 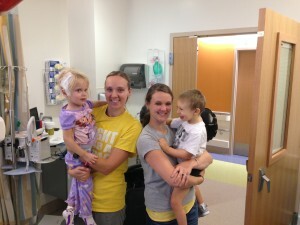 Brogan and his family were our roommates for a night after Emma’s first resection. is levitra effective for women We are so excited to be heading home and get to see Aiden. We aren’t terribly excited about another extended stay at Madonna as it is very hard on our family. We haven’t worked out the logistics of balancing Emma being there, work, and Aiden yet but we are praying that we will somehow be able to make it all work. We will be discharged from the hospital later this morning and fly out around noon. We will get in to Omaha this evening and then will get to spend a night in our own beds before taking Emma to Madonna tomorrow morning. see For those of you interested. 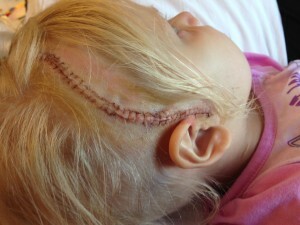 Here is a picture from the cut on Emma’s head from her surgery last Tuesday. Prezzo Cialis Italia We are so incredibly thankful for the wonderful doctors and amazing nurses we have had here in Boston. They have taken such good care of our little princess! 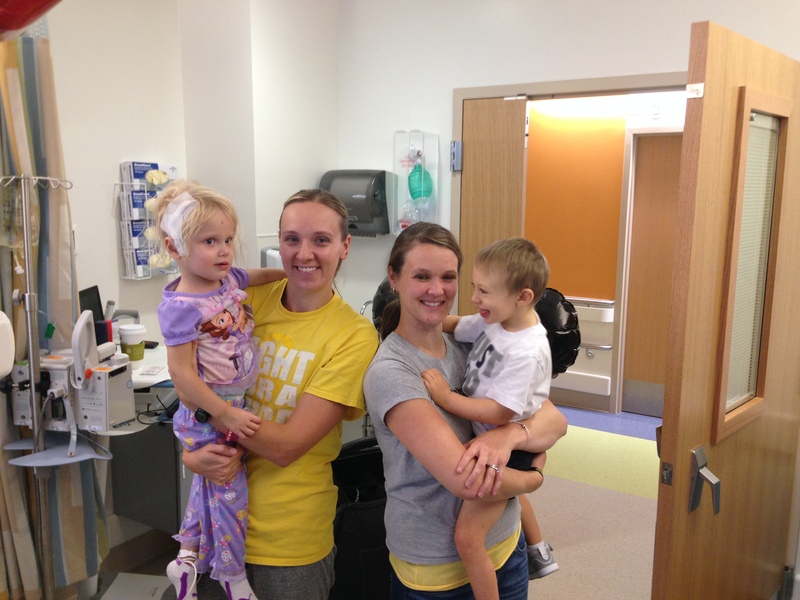 We are also very thankful to those of you we have seen spreading awareness for childhood cancer this month. We will make a difference for these children! Thank you to all of you for your continued prayers and support! We couldn’t do this without it. You are all so amazing! !